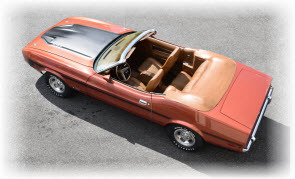 Just got a 1973 Mustang Mach1 with a 351C and need some help. I was able to follow some of the guides and get the timing and spark straightened out today. I would like to fix the vacuum/lack of issue. Anyone have any tips? Don't know where the hose are suppose to go to. Right valve cover has a pcv valve with 2 ports. Also out of intake theirs a valve with like 3 and they are all capped off. There are quite a few threads on the forum covering routing of the vacuum lines. Try searching for them. The link is working now. That's weird. Yesterday I tried the attachment but it kept giving me an error.